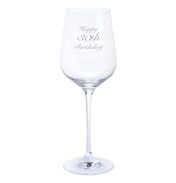 Anniversaries, retirements, weddings, special events, birthdays, Christmas the list is endless and it’s increasingly hard to try to find ideas as to what to buy. 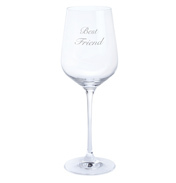 Here you will find a wide range of different suggestions to try to help you find the perfect Dartington gift. 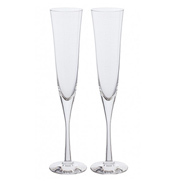 Dartington crystal clocks make ideal giftware for ladies and gents, or for couples. 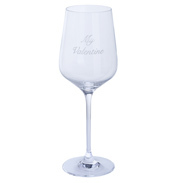 They are elegant and classy and are made from handcrafted quite chunky pieces of glass with a real weighty feel to them – beautifully shaped and styled to give an opulent look. Suitable for use in the home on a mantelpiece, on display in the lounge or bedroom or even for use in the study or at work on the office desk. 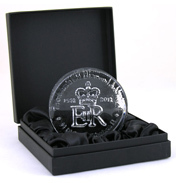 The timepiece is encased within glass and has a reliable mechanism so you won’t ever need to be late again. Some of the Dartington glass clocks have a distinctive crescent shape and these Crescent clocks are available in three different sizes. These clocks we feel are particularly suited to wedding gifts and retirement presents or perhaps those of us in need of staying on schedule. Set your watch now to remind yourself to look here for great gifts! Here you will also find a number of different boxed Dartington gift sets including the Ultimate in Beer, Lager and Cider Glasses which have been shaped for flavour and presented in cardboard gift tubes to make them look even more impressive (and much easier to wrap no less!). 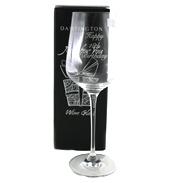 The Dartington Ultimate range makes a great gift for drinking fans and are really very affordable. Plus if they are a real beer drinking enthusiasts try the half yard of ale! 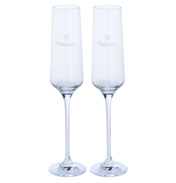 A special set of giftware is the Dartington range of commemorative glassware for the Royal Wedding of William and Kate. 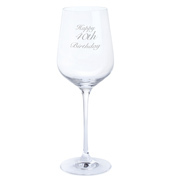 The selection includes a Handmade Celebration Bowl, Celebration Vase, Toasting and Celebration Flutes and a glass Tankard. 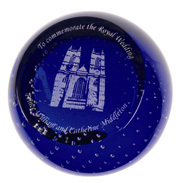 Each piece is engraved by hand with the distinctive Dartington royal commemorative design which is an entwined W & C together with a delicate crown insignia and most have an inscription which says 'To commemorate the wedding of HRH Prince William & Catherine Middleton 29 April 2011' The tankard is particularly beautiful as it has a hand applied crest which has been moulded onto the front. A tasteful celebration of the occasion and as each piece is Limited Edition they are bound to become collector's pieces of the future. 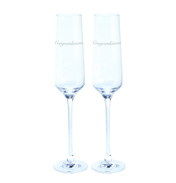 Celebrate the day and mark this historic event with beautiful glassware from Dartington and perhaps have a toast to the royal couple in style! On this shelf you will also see a number of coloured glass pieces which have a flash of colour for the more modern interior, all of which make perfect gifts.